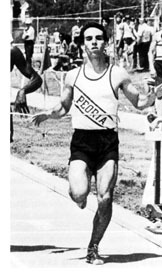 One of the most dedicated and skilled runners in Peoria track history, Dave Ayoub produced achievements in Illinois state track competition that are still talked about. In the 1977 state high school meet at Charleston, the Peoria Central senior won the 880-yard run (now the 800 meters) in 1:48.86. Not only is that a state record that still stands, but it was the quickest 880 by a high school athlete in the nation for that year. "And it was the third fastest in the world that year," points out former Central head coach Phil Salzer. "If a semi-truck had rolled out onto the track when Dave made the final turn that day, he would have gone over it, under it, or around it," recalled Bob LaCroix, who coached Central's distance runners. But there was a lot more than that one race in Ayoub's career. The 5-foot-7, 125-pounder never lost an outdoor race in either the 880 or 440 while at Central. And he qualified all four years at the state in the 880. "He's the only one I know of who ever did that," says Salzer. He finished third the summer after his senior year in an international prep meet at Northwestern and he also ran in the Junior Olympics at Knoxville, TN. Kansas offered him a scholarship but he opted to walk on at Illinois. 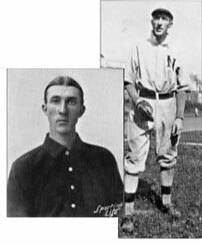 A four-year letterman for the Illini, he was still ranked in the top ten in four events at the time of his Greater Peoria Sports Hall of Fame induction. In 1980, he was the Big 10 indoor champion in the 1,000-yard run. "I had a reasonable shot at making the 1980 Olympic Trials," Ayoub says, "but I think I wanted to be a doctor a little bit more." He's now Dr. David Ayoub, an interventional radiologist.